Ecoraster was engineered with durability in mind. Large scale projects benefit greatly from the permeability and strength of Ecroaster, but it can also be used on residential projects. Ecoraster grid systems can be installed with minimal effort under hot tub pads, sheds and pathways. The grid and Bloxx systems can be used in conjunction with each other to design beautiful areas around your home that are easy to install. 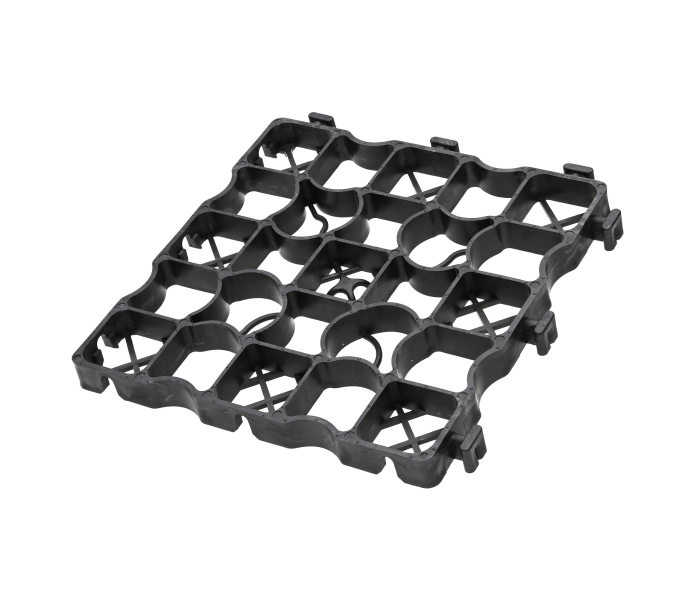 Ecoraster and Ecoraster Bloxx can also be used for permeable driveway paving. Able to endure harsh climates and snow plowing, Ecoraster can also help reduce taxes by lowering your contribution to storm-water runoff.